Crafty Krafts: Cupcake Craft - Turn up the Heat! Cupcake Craft - Turn up the Heat! 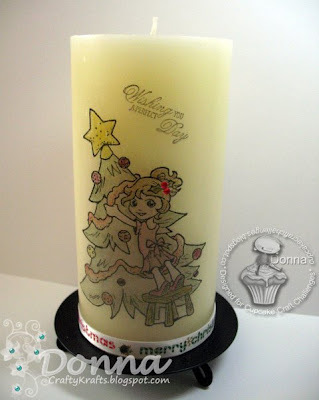 This week over at Cupcake Craft Challenges, We were set a Challenge by Jennifer, Which was " Turn up the Heat" You can use any form of "heat" on your work, you could use Heat Embossing, Heat Tools, "HOT" colours if you don't want to use actual Heat. This week i decided to try candles, Please note that i only made 1 candle before so I'm not very good but practice makes perfect eh! 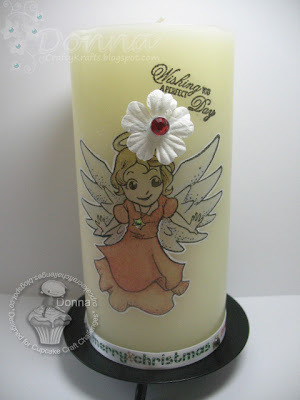 This entry was posted on 13.10.08 and is filed under CupCake Challenges , Whiff of Joy Stamps . You can follow any responses to this entry through the RSS 2.0 feed. You can leave a response, or trackback from your own site. Donna, I just LOVE your candles got to try this, once I get a heat gun.